Today is an exciting day in the jumbleThink story. We are announcing new changes to the jumbleThink podcast. 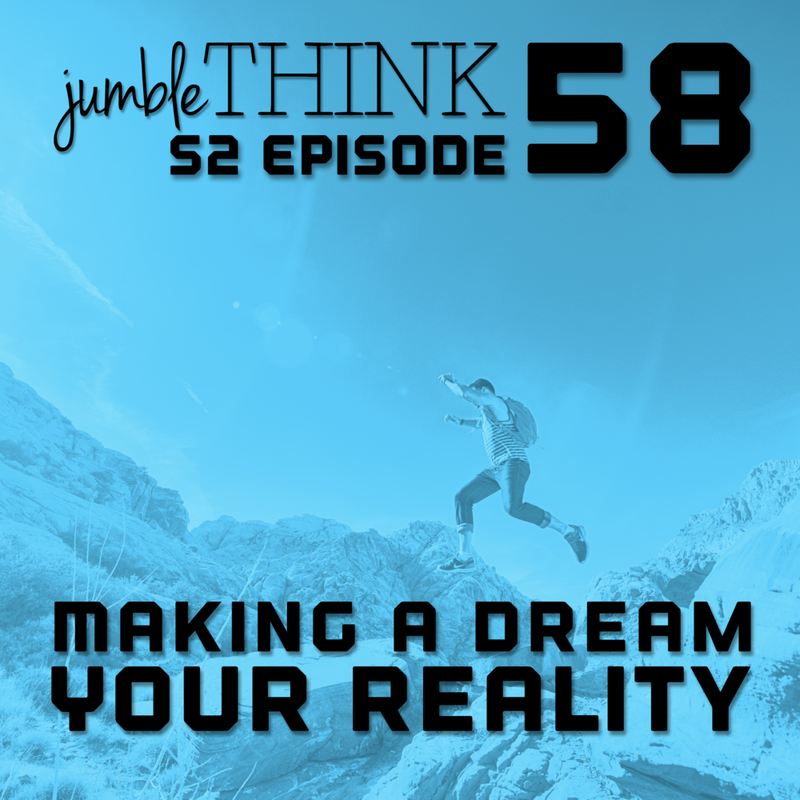 In the episode Michael Woodward (jumblethink Founder and CEO) also shares 3 tips to making your dream a reality. Segment 1 (0:44): The jumbleThink podcast is getting back to it's roots. We are making a few changes to the jumbleThink podcast. Each week we will have two new episodes. On Mondays will interview one incredible entrepreneur. On Fridays we will have one topical episode giving you practical tools to turn your idea and dream into reality. We are also excited to announce the launch of The B-Side podcast which will be a shorter format version of the jumbleThink podcast. We will interview incredible people for 15-20 minutes on Facebook Live. We will then share those episodes on YouTube and on traditional audio podcasts. Make sure to connect with us on Facebook and Instagram to keep up to date on the exciting changes coming in late September. Segment Two (9:45): In segment two Michael shares three quick and easy tips you can do right now to turn your dream into a reality. He then gives examples of how to use each tip in your life. The three tips are: Write it down, Find a Mentor or Coach, Do Micro Experiments.